Bring fun to the kids' table with this darling plate with an animal face shape. 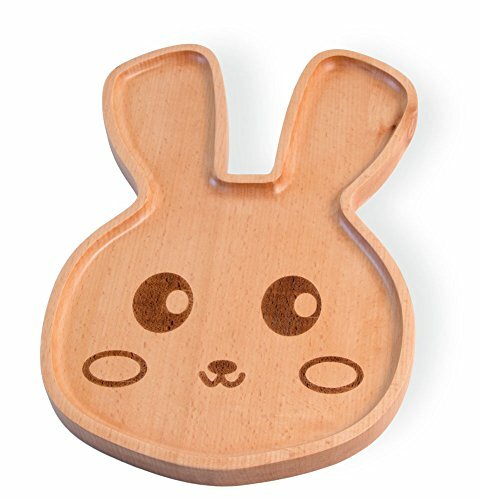 Kids will love discovering the animal's playful face as they clear their plates. Made from sturdy beech, hand wash to clean. Celebrate the Home with Boston International, the exclusive importer and distributor of design-led, superior quality paper products, giftware, and decorative accessories for more than a quarter century. We combine the very best design with the highest quality materials and manufacturing, then add outstanding distribution and unmatched customer service. An innovative company, we introduced our own brand of decorative gift table top accessories. We invite you to celebrate the home with Boston International.